Japanese American violinist Ryu Goto is a classical musician with a large and growing public in Asia, North America, and Europe. 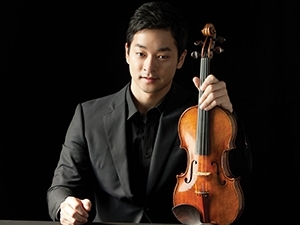 After making his debut at age seven with the Pacific Music Festival in Sapporo, Japan, Ryu continues to solo with many of the world’s leading orchestras. Following his sold-out Zankel Hall recitals in March 2012 and 2014, Goto returns to Carnegie Hall with a program of works by Schumann, Ravel, and Saariaho, among others. To purchase tickets, please visit Carnegie Hall’s website.